Thank you for visiting our site. I’m Connie Spruill, Owner and Director. Individuals who enroll in the Feng Shui Institute of America’s certification course do so because they want to access the science of why it works. We teach this in our curriculum. We cover feng shui design, feng shui in the garden and landscaping, sacred geometry, feng shui for business, career and personal growth. We take our curriculum deep for those who really want to effect change in people’s lives. It is customized to the individual’s interest and direction she/he may want to take their practice whether it be teaching, consulting, writing about application or other areas. Feng Shui is not magic but it seems that way, as you can realize spontaneous success and healing by applying feng shui concepts to your life. A desire for understanding people and why negative patterns show up continually in their lives is a good reason to begin to explore feng shui. We sometimes refer to feng shui consultants as “change agents” in an individual’s path to achieving life intentions. Start your feng shui certification now! Continuing Education Credits for various fields coming soon! 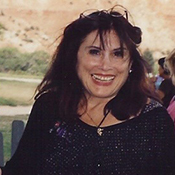 Since Feng Shui Institute of America’s inception in 1994, Nancilee Wydra, Feng Shui Master and FSIA Founder, blazed a trail in the field of feng shui. She translated this Eastern, ancient philosophy into a Western, contemporary approach grounding it in a science-based curriculum. Years prior to the school start-up, Nancilee was involved in a university research project working with young adults in disadvantaged neighborhoods. It was then she came to understand that if the physical environment could change to support and communicate positive messages to these young adults, their lives could take on a different meaning and change forever. Since that experience she has focused her energy in the science of person-place connection. Now retired the reigns have been passed on to another. Nancilee still participates in teaching and refinement of its curriculum. We pay homage to her vision and forethought in seeing the future of where this discipline can go in helping people heal and reach personal and business intentions. Today the school is one of the top feng shui certification schools around the globe. 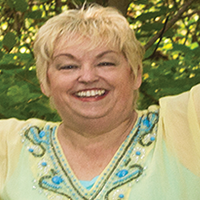 Connie Spruill, Feng Shui Master, is now the new Owner and Director. Her certifications include Certified Holistic Coach, Career Counselor, Micro-enterprise Coach, Adult Education & Instructional Design and Certified Online Digital Marketer. The school has seven Masters in feng shui who have contributed over the years to the scientific curriculum and also mentor and teach feng shui. We’ve taught over 4400+ feng shui consultants across the globe since its inception, and have added to our flagship course, a newly developed, one-year business system program for those interested in developing and growing an online feng shui presence. This course is perfect for any holistic practitioner in any healing field. Check it out here.